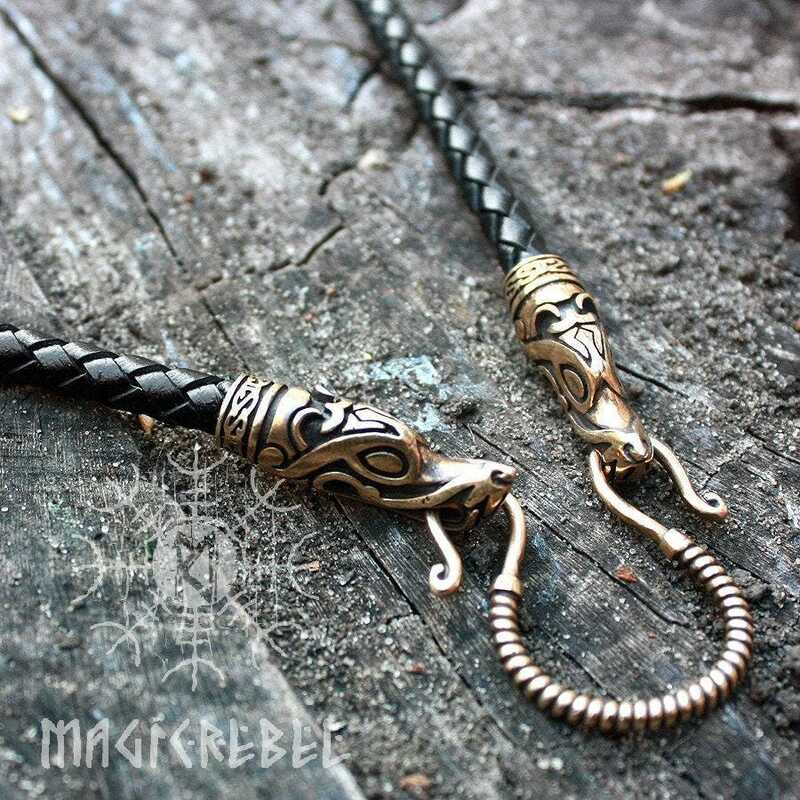 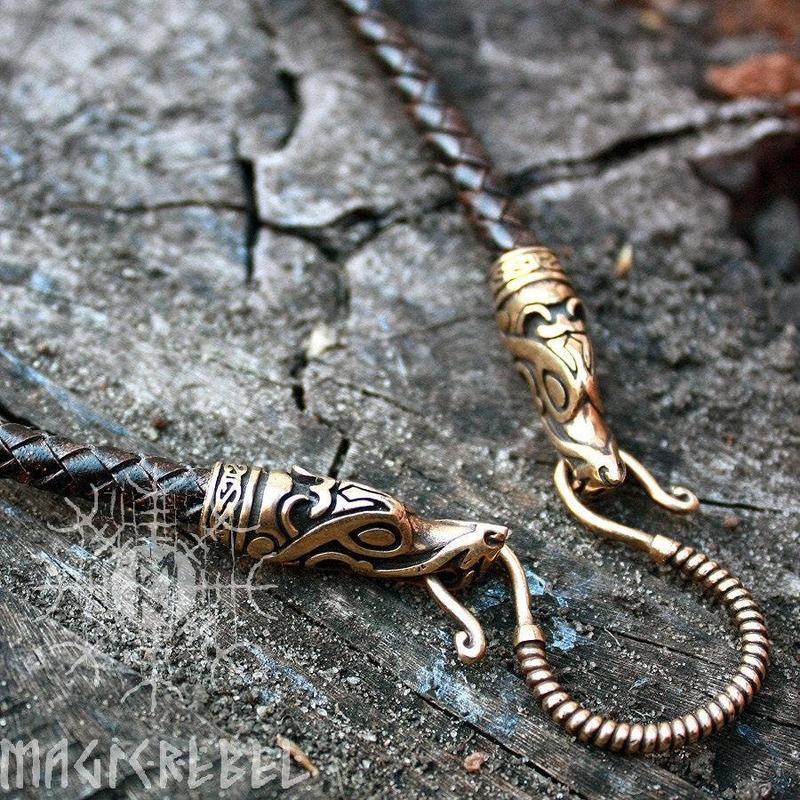 This are three kinds of genuine leather handmade necklaces with real solid bronze wolf head Fenrir terminals and connector ready to hold your favorite pendant. 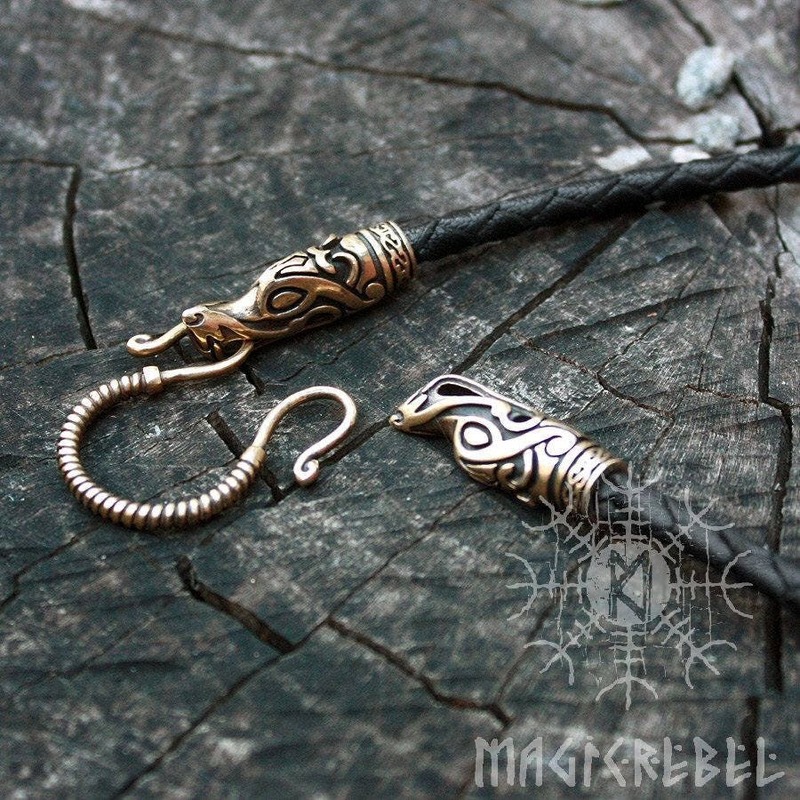 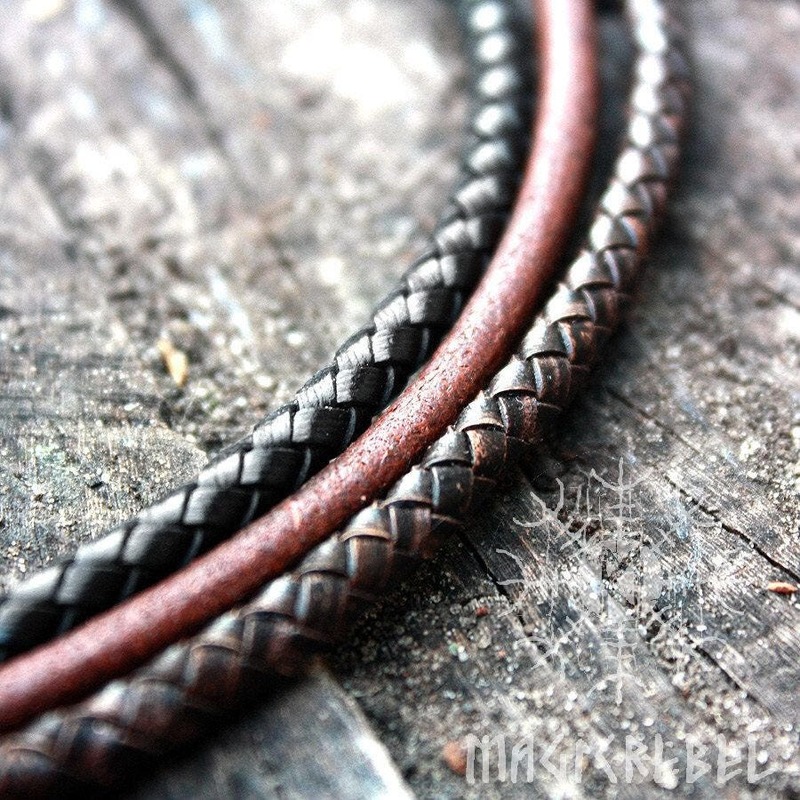 Each leather necklace comes separately: black braided leather, antique brown braided leather and brown round leather. 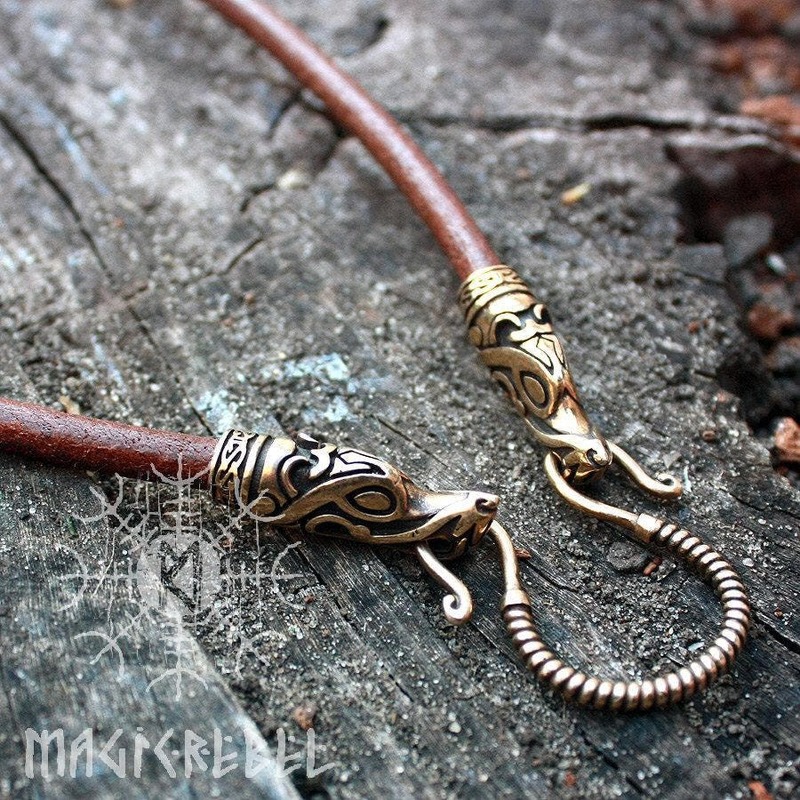 Each necklace length is 65 cm or 25.6" inches (you can specify a different length when you order), the connector width is 4 mm.